Here’s a case where no one really wins. Not the woman whose truck was stolen and had to go out-of-pocket to replace it, and certainly not the guy who bought the truck but had to surrender it after learning it had been stolen five years earlier… and all because someone at the police department filled in the wrong box on some paperwork. NBC Los Angeles has the bizarre saga of the Bakersfield-area woman, who reported her truck stolen back in 2011, when it was still relatively new. Filing that police report should have prevented the vehicle from being resold, but whoever wrote up the paperwork put the truck’s title number in the field where they should have entered its VIN. The mistake was identified by the state’s system and kicked back to the police department, but never fixed. It was only because the original owner got curious, several years later, about whether or not her truck had ever turned up that the truth was eventually revealed. She contacted the police department, only to learn about the paperwork mix-up. If the paperwork had been filed correctly, this whole ordeal would never have happened. Days after the owner had tried to report the stolen truck, another woman — one with a history of car theft — was pulled over by police, but when they ran the VIN on the truck, it didn’t set off any alarm bells. The stolen truck was eventually impounded and subsequently sold at an auto auction, and then again in 2013 to a man who paid $8,000 for it. The owner, having learned of all this, followed the paper trail and looked up the address of the new owner. 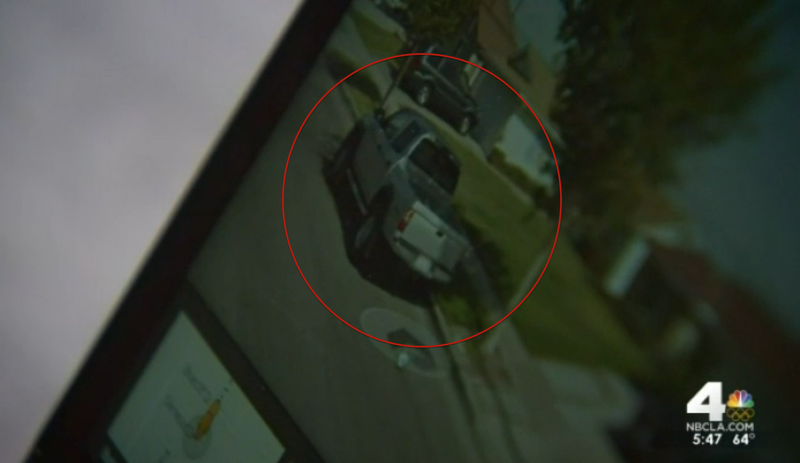 Plugging his info into Google Maps, she saw her truck right there in the Street View photo in front of his house. Determined to get her car back, she headed over to this house with her old keys. Using her old keychain remote, she was still unable to unlock the truck. That’s when she notified authorities in that city that she’d be getting her stolen truck back. Police gave the current owner the bad news and the rightful owner was able to get into her truck and drive off… in a vehicle that now has more than 100,000 miles on it. The man who bought the vehicle in 2013 says he had absolutely no idea the truck had been stolen. He’s also out all the money he spent to pay for the truck. The truck’s owner, who hasn’t decided whether she’ll sue the police department, says she’s more upset with the cops than she is with the person who originally stole her truck.